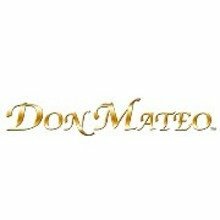 The Don Mateo #2 is a good solid smoke. I really like smaller ring gauge cigars, and this one doesn't disappoint. 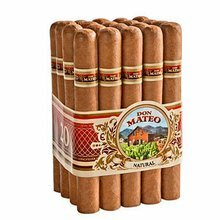 I am very pleased with this cigar; to the point that I am disappointed that it doesn't appear in the catalog; Does that mean it will be unavailable in the future. There are few cigars available in this ring size and length combination. I am very pleased with this cigar. You can't beat it for price. It reminds me of the Macanudo Portafino. I enjoy one each day after dinner. Good cigar from the light to the nub. Because I just smoke a small amount at a time, the draw on this smoke tends to run up the middle. But flavor is great, and the consistency does change from cigar to cigar.